Amnesty International today again expressed concern about the execution of foreign nationals in Saudi Arabia, after news emerged of the beheading of a Nigerian man there last week. Qorbi bin Mussa Adam, who was convicted of murdering a Saudi national, was the second Nigerian to be executed in Saudi Arabia this year. The other Nigerian, Jamil 'Abbas Shu'ayb, was beheaded in May. In both cases, the Saudi Arabian authorities have disclosed very little information about their trials but Amnesty International said that these are likely to have been held in secret and to have been summary, as in the case of Suliman Olyfemi, another Nigerian who remains at imminent risk of execution in Saudi Arabia. He was sentenced to death in 2004. Suliman Olyfemi's trial was held in secret and conducted in Arabic, which he does not understand, without adequate interpretation facilities. He had no legal representation or any legal assistance. It is feared that he was tortured while held incommunicado in pre-trial detention to force him to “confess”. Qorbi bin Mussa Adam was the 51st person to be executed in Saudi Arabia this year, according to Amnesty International's monitoring. As in previous years, the figures reflect a disproportionately high rate of executions of Africans and Asians. Of the 51 people executed so far this year, 36 were Saudi Arabians, out of a population of some 21 million, while 15 executions were of foreign nationals residing in Saudi Arabia, who number approximately six million. In 2008, the Saudi Arabian government executed, on average, more than two people a week. Almost half of them were foreign nationals from developing countries, including Nigeria. The government of Saudi Arabia uses the death penalty for a wide range of offences, including offences which are ill-defined or do not have lethal consequences. The process by which the death penalty is imposed and carried out is harsh, largely secretive and grossly unfair. Executions in Saudi Arabia are generally held in public, and are in some cases followed by crucifixion of the bodies. Saudi Arabian judges have wide discretion and can hand down death sentences for vaguely-worded and non-violent offences. Some migrant workers are reported to have even been unaware that they had been sentenced to death until the very morning of their execution. The Saudi Arabian government's continuing high use of the death penalty runs counter to the growing international trend towards abolition and the UN General Assembly's adoption in 2007 and 2008 of resolutions calling for a worldwide moratorium on executions. According to Amnesty International, 139 countries in the world have abolished the death penalty in law or practice. 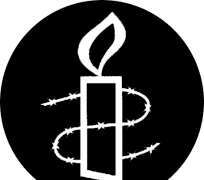 Amnesty International called on the Saudi Arabian government to establish an immediate moratorium on executions and to commute all outstanding death sentences as a first step towards abolition.